Please meet our newest Friend of Add-ons, Prasanth! 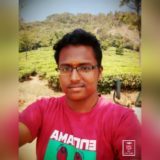 Prasanth became a Mozillian in 2015 when he joined the Mozilla TamilNadu community and became a Firefox Student Ambassador. Over the last two years, he has contributed to a variety of projects at Mozilla with great enthusiasm. Last year, he organized a group of eleven participants to test featured add-ons for e10s compatibility. In January, Prasanth became a member of the Add-ons Advisory Board, and has emerged as someone very adept at finding great add-ons to feature. “Prasanth has shown a true talent for identifying great add-ons,” comments Scott DeVaney, Editorial & Campaign Manager for the add-ons team. In addition to organizing community events and contributing to the Advisory Board, Prasanth is also learning how to write scripts for testing automation and helping contributors participate in QA bugdays. In his spare time, Prasanth enjoys hanging out with friends and watching serials like The Flash and Green Arrow. Congratulations, Prasanth, and thank you for your contributions to the add-ons community! Nice bro keep it going! !